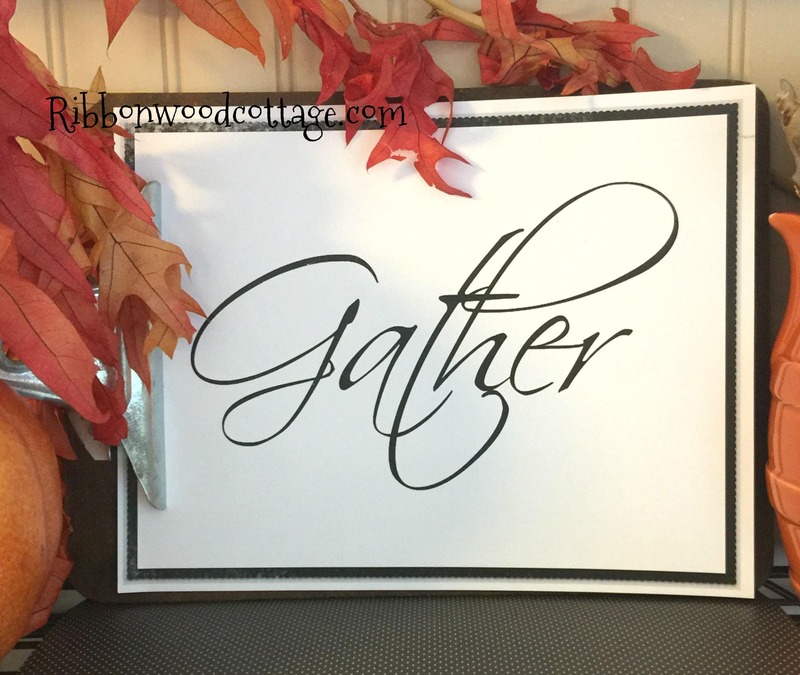 Love the word Gather! It means your close friends and family gather with you. Usually to eat! When the weather gets cooler, people starting coming indoors, which means more cooking, or baking, or enjoying a meal together. Love this word and what it represents. Gathering with those you love the most, is what matters in the big picture. 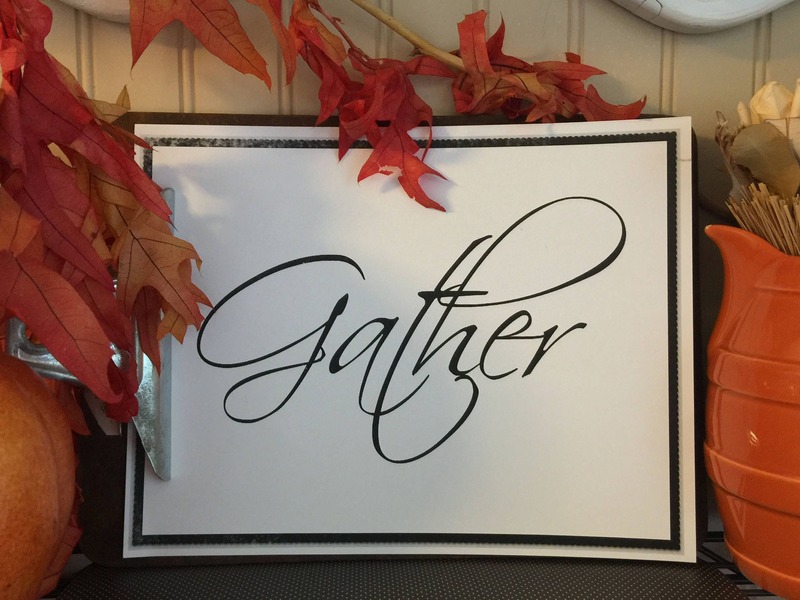 This is a simple budget friendly word art that can be decorated with. Decorating on a budget started years ago. Looking through magazines for ideas. One thing I began over 30 years ago was decorating with Word Art. A simple way to decorate and keep it budget friendly. I grew up in a family where my grandfather was a printer, so word art was commonly used in our household before it ever became popular. I remember printing out on a typewriter, words, phrases and quotes and then simply framing them. Hanging these works of art on the wall, or placing them on a shelf often was the central decoration, and then small things would be grouped around them. Pumpkins and fall decorations. Group tallest items towards the back, with something medium height next, and smallest items in front of that and you have a Fall Grouping with your printable picture! *This is a downloadable file, you are not receiving anything physical in the mail. Once downloaded this file can be printed as many times as desired. Please do not share this copyrighted file on Social Media. Thank you so much. I appreciate that!